Alberta’s Eastern Slopes forests between the mountains and the grasslands have ecological importance far greater than their physical area. Healthy forests serve an invaluable role in collecting, storing and filtering water, and slowly releasing it into creeks and rivers. Once, management of these forested lands placed a firm priority on the production of a sustained and healthy water supply. More recently, this management priority has been undermined, and the primary use of forests has become the production of a sustained supply of timber. Native fish populations including endangered bull trout and West Slope cutthroat trout need healthy forests. They need the cold, clear, shady headwater creeks that sensitive forest management provides. We need to return to a model of ecosystem-based forest management that nurtures Alberta’s headwaters. Only then will we have a truly functioning ecosystem that will supply clean water for all Albertans to enjoy. Insects, parasitic plants and diseases have evolved for millions of years in synchrony with our forests. Insects like the mountain pine beetle contribute to overall forest health by thinning out weaker trees. Sustainable forestry needs ecosystem-based models that allow natural control mechanisms to function. The Eastern Slopes forests (see Map), are public land, administered by the provincial government on behalf of the public. Wild Water: Healthy forests ensure clean, abundant drinking water for communities across southern Alberta, Saskatchewan and Manitoba. Wild Lands: Southwestern forests are a prime recreational area for more than one million Albertans. Wildlife: Healthy forests provide habitat for a rich array of flora and fauna, including threatened and endangered species such as grizzly bear, cutthroat trout and limber pine. Forests also supply economic resources, including timber. Current management of forestry operations in the Eastern Slopes focuses primarily on producing a continuous supply of timber, based on clearcutting to meet targeted volumes of lumber. Other forest values including watershed and wildlife health are managed as secondary objectives. These priorities must be reversed. What do Albertans Want from Our Forests? What Should the Future for Alberta’s Forests look like? Current forest management in southwestern Alberta is not working. Too much emphasis on timber production has meant that other forest values – including our fish and wild waters – have suffered. And the interests of Albertans are not being represented. …forest management that conserves the ecological values of the forest. This includes the provision of clean, abundant water, diverse forest ecosystems, wildlife habitat and connectivity, and natural carbon capture and storage. …any human use of the forests limited to appropriate use. Appropriate human use of the same forested landscape, including appropriate recreation and tourism, and sustainable forestry, should be a secondary priority. management practices that are geared to assist the recovery of species of concern. This includes endangered fish species such as westslope cutthroat trout and bull trout, as well as threatened land-based species like the grizzly bear. forest management with clear objectives, monitoring and transparency. Government agencies, in order to serve the public, must better integrate forest, wildlife, watershed and recreation management with clear objectives, monitoring, and transparency. accessible, accountable and transparent public consultation. evidence-based forest management that is based on peer-reviewed science. When there is a risk of negative impacts, the precautionary principle must prevail. 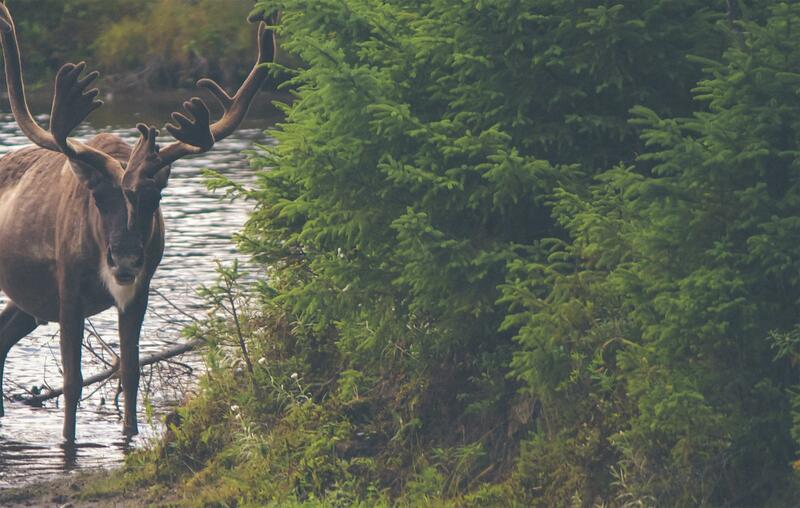 Alberta Wilderness Association (AWA) hosted a forum bringing together conservation community colleagues and experts from several disciplines including biology, forestry, ecology, law, land use planning, economics, and strategic modeling in June 2014. 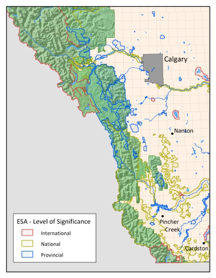 The goal was to discuss past Eastern Slopes land use decisions; the present state of Alberta’s forested headwaters; and future opportunities to improve land use management. We recognize a pressing need to limit land use impacts on our watersheds and to use biological indicators such as the poor health of our native fish species to warn us of the declining quality of Alberta’s watersheds and the need for better management practices. The forum combined three broad topics – Fish, Forests, and Flood Resiliency – to demonstrate that they are intrinsically linked and should not be discussed in isolation. The Eastern Slopes of the Canadian Rocky Mountains are one of Alberta’s most treasured landscapes. The entire Eastern Slopes ecosystem is defined by water. There is a tendency to focus solely on bank-full rivers when discussing flood mitigation and watershed management but that is a very small part of the system. Groundwater, hyporheic zones, wetlands, ephemeral and permanent streams, floodplain, riparian zones, and surrounding lands all play an important role in gathering, storing, filtering and releasing water. When these ecosystems are intact, they provide high quality drinking water for many Albertans and other prairie provinces, maintain healthy biodiversity, protect against both floods and drought, and provide carbon sinks to help slow down climate change. Exerting enormous pressure on the intactness of these systems are the approximate 1.3 million people living within the Eastern Slopes region and consequent 72,000 km of human development footprint edge. It is essential to consider cumulative impacts on this landscape: Alberta’s Eastern Slopes region has one of the highest rates of overlapping land tenures in all of Canada. The Eastern Slopes has experienced a 3.6% net forest loss over a 12 year period (2000-2012); a net loss of 2,675km2. For decades, AWA and other environmental non-government organizations (ENGOs) have advocated for reducing industrial development along the Eastern Slopes, emphasising the need for responsible low impact recreation and a large protected areas network while securing our headwaters. The following principles and opportunities came from the forum and are intended to help continue the discussion and re-shape the way we manage our crucial headwater landscapes. Human vulnerability and damage risk from flooding is a land management problem and we need to treat it as such. Science-based outcomes with practical solutions must be emphasized. The precautionary principle must be applied in all land use decisions. The pace at which we are understanding ecosystems is incredibly slow compared to how fast we are changing them. Limits to human access and development should be seen as an opportunity to preserve our natural capital. Climate change will have significant impact on the function of our forests and needs to be an important consideration in any present and future decision making. Full cost accounting is critical when evaluating development along the Eastern Slopes; too often ecosystem services are undervalued or disregarded completely. Alberta needs to learn from other jurisdictions; we must discover and implement better management options that have been successful elsewhere. Overall, forest harvest changes the soil’s moisture regime and increases runoff, sedimentation into waterways, peak flows, and water temperature. Yet each watershed can respond uniquely to logging due to local characteristics such as slope, elevation, size, geology, drainage density, groundwater contribution, and runoff timing. Extensive monitoring and inventory must be completed around each watershed when forest harvest is proposed. Forest harvest should not be used as a substitute to natural forest fires: logging introduces roads and can cause soil compaction, unlike fire disturbance. Roads adversely affect terrestrial and aquatic wildlife, especially those species sensitive to edges, by increasing human access. Roads also cause erosion and increased sedimentation into watersheds if there are not large healthy riparian buffer zones. Soil compaction drastically reduces the sponge effect of forests and hampers regeneration. Stepping infrastructure back from Eastern Slopes water systems and maintaining connectivity between stream flow and its landscape are crucial. Dams, riprap, and other engineered flood mitigation structures drastically decrease the connectivity. Dams produce highly erosive and variable flows, are habitually cost-underestimated, work against rather than with the river, block sediment, require perpetual and costly maintenance, and can fail or breach capacity. Development of other impermeable surfaces on the floodplain such as parking lots, buildings, and roads hinders the ability of the floodplain to absorb floodwaters and speeds up runoff into rivers leading to increased downstream flooding. For long term protection of Albertans, existing infrastructure needs to be re-located out of the floodplain starting with the most vulnerable communities and structures. The global forest industry is increasingly based on large plantations in climates that grow trees quickly, placing Canada at a disadvantage especially the farther north logging occurs in Alberta. Historically, a large part of the legitimacy of Alberta’s forest industry was simply providing jobs to communities. Research and policy ideas for improving industry finances include: anticipating climate change impacts on logging rates and what tree species should be planted; the use of genomics to ‘mark genes’ to select for higher productivity traits in species such as aspen poplar; and the use of plantations on public land, using genomic or other exotic species. These ideas need to give much more consideration to ecology and biodiversity implications before moving forestry in less natural directions on public lands. AWA believes ecosystem-based community forest pilot projects can and should be established in Alberta. The Harrop-Procter Community Forest has accomplished true ecosystem-based community forestry with high job creation and careful management as a successful alternative to the timber supply-based forestry currently taking place along the Eastern Slopes. Ecosystem- based community forest projects would allow watershed protection and forest ecosystem integrity to be the top priorities while still creating local jobs. The area under the community forest agreement would undergo ecosystem-based conservation planning to understand the dynamics of the specific area, with intensive sampling, mapping, inventorying, and monitoring prior to any harvesting. Areas within the tenure would then be set aside based on buffers around surface water, groundwater recharge areas, and species at risk critical habitat, wildlife corridors, old growth trees, and steep escarpments. The remainder would become the total allowable forest harvest area. The precautionary principle would be applied when proceeding with growth and development of timber harvesting. The ecosystem-based community forest demonstrates a business model that not only generates a high ratio of jobs per wood harvest volume to support the local economy, but also ensures long-term sustainability of forest headwaters, helping fulfill a mandate for ecosystem-based forestry that Albertans believe the Government of Alberta must uphold. AWA is grateful for support from The Calgary Foundation for our Fish, Forests, and Flood Resiliency initiative.